Faruqi & Faruqi Law Blog: Faruqi & Faurqi Law Investigation: Cyan, Inc.
Juan E. Monteverde, a partner at Faruqi & Faruqi, LLP, a leading national securities firm headquartered in New York City, is investigating the Board of Directors of Cyan, Inc. (“Cyan” or the “Company”) (NYSE: CYNI) for potential breaches of fiduciary duties in connection with the sale of the Company to Ciena Corporation (NYSE: CIEN) for approximately $400 million. The Company’s stockholders will only receive $4.75 for each share of Cyan common stock they own. However, Cyan has historically traded at much higher prices. 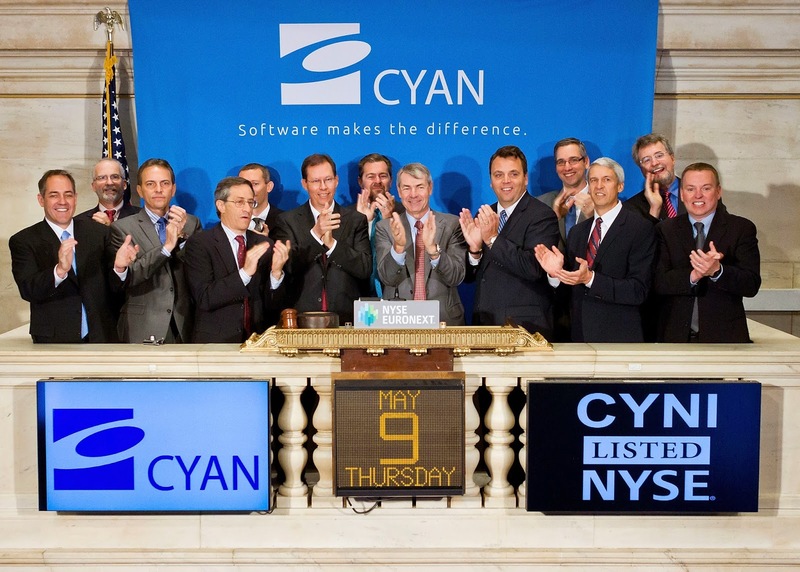 In fact, Cyan stock traded upwards of $9.00 for most of the fall of 2013 – more than double the current deal price. The investigation focuses on whether Cyan’s Board of Directors breached their fiduciary duties to the Company’s stockholders by failing to conduct a fair sales process and whether and by how much this proposed transaction undervalues the Company to the detriment of Cyan’s shareholders. If you own common stock in Cyan and wish to obtain additional information and protect your investments free of charge, please contact Juan E. Monteverde, Esq. either via e-mail at jmonteverde@faruqilaw.com or by telephone at (877) 247-4292 or (212) 983-9330.